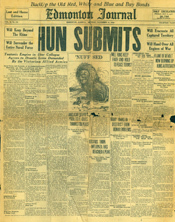 Newspapers and radios were full of stories about the war, its battles, heroes and numerous accounts of death. People tried in various ways to keep track of that information and to participate in the communications between the home front and the front lines. 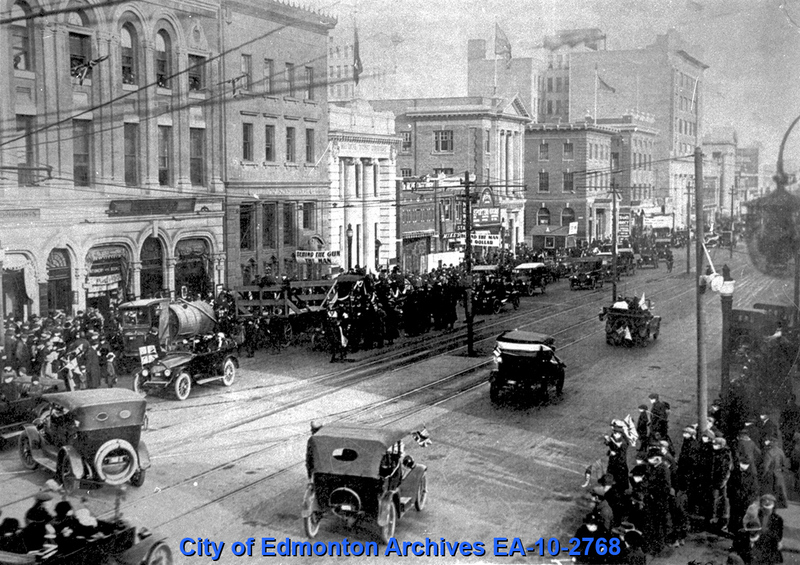 Letters back and forth as well as the media coverage helped Edmontonians cope with the fears and stresses of the war. Sadly, many soldiers never returned. 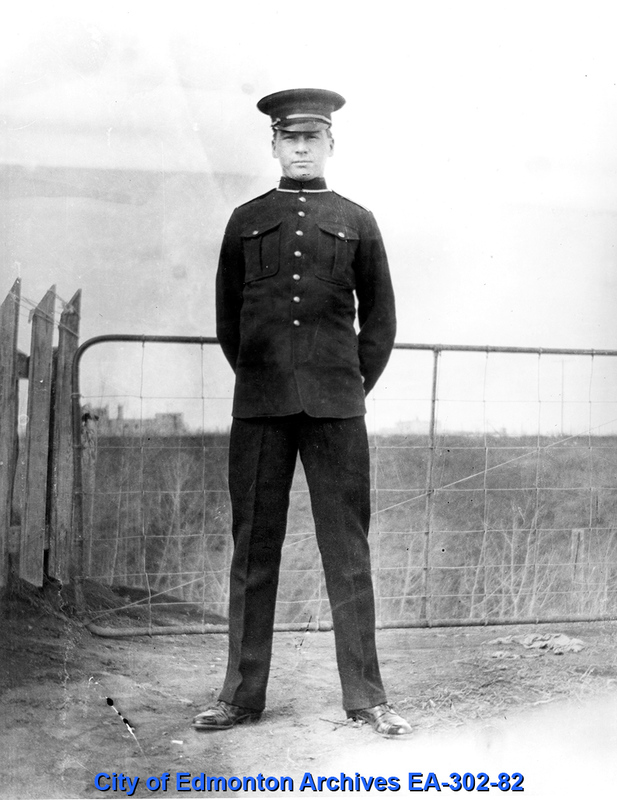 Alex Decoteau was one of many Indigenous Canadians involved in the war effort. He was killed by a sniper’s bullet October 30, 1917 at the Battle of Passchendaele. The lack of food, fuel and other resources had other consequences for Canadians. Years of malnutrition, stress and uncertain conditions was a contributing factor in the virulence of the Spanish Flu epidemic which swept the country in 1918 and 1919. 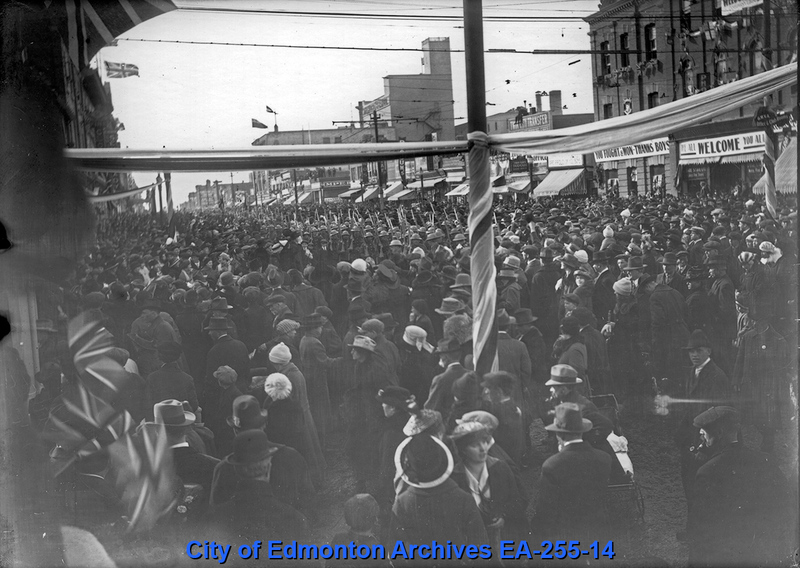 Edmontonians, while eagerly welcoming home their men and women from overseas, also suffered huge losses to the disease. The soldiers who returned following the war were honoured in very public ways. 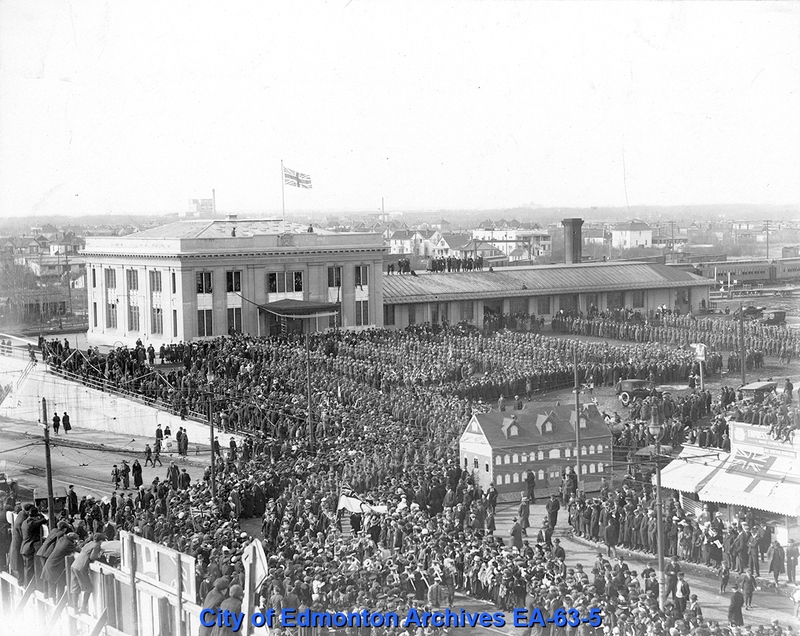 Parades saw thousands of Edmontonians come out to celebrate the return of their sons, brothers, fathers and special events were held to honour the men upon their return. Soldiers’ contributions to the war were recognized in various ways. Organizations such as churches and companies created honour rolls listing the names of the men who enlisted during the war. 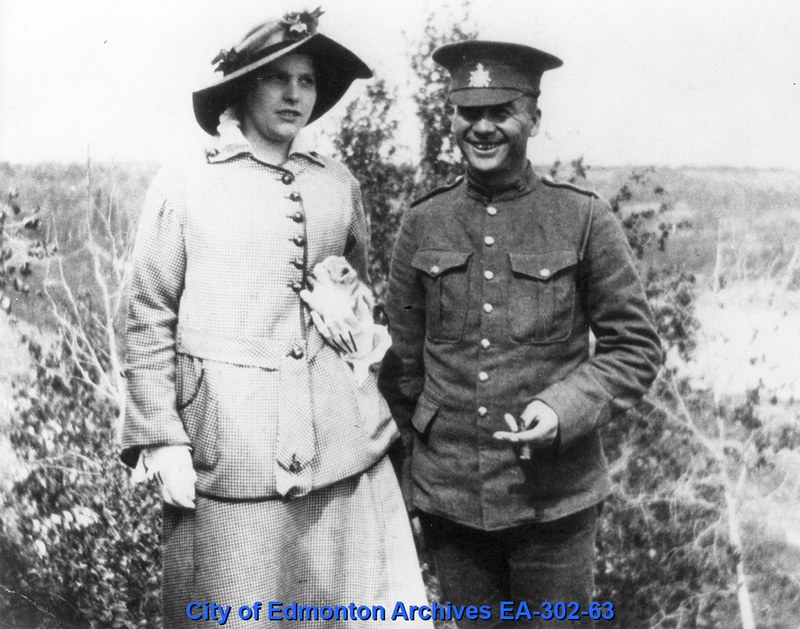 The nearby Town of Beverley was the first municipality in Alberta to unveil a cenotaph, which they did in 1920. One major undertaking to honour soldiers began before the war had even ended. 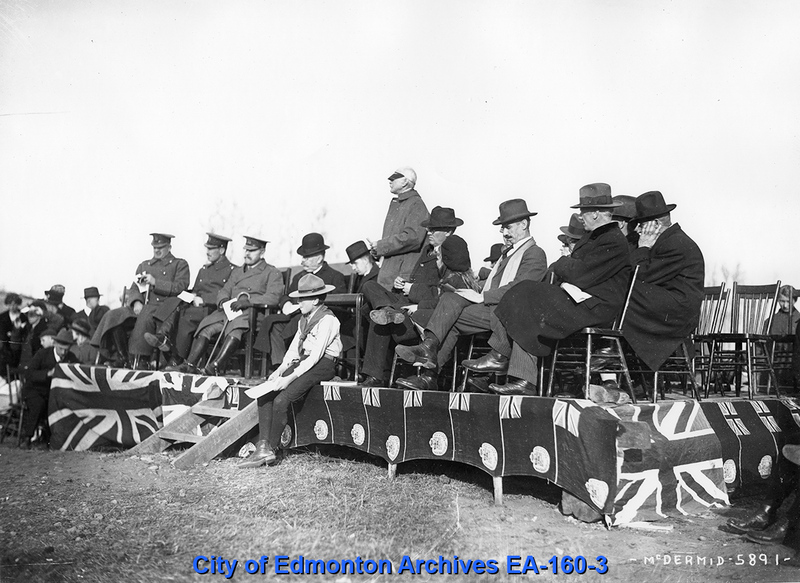 In August of 1918 the construction of a building to honour fallen soldiers was endorsed at a public meeting. When the structure was completed in 1920, it housed an assembly hall capable of accommodating 700 people, as well as offices, conference rooms, cloak rooms, and a dormitory for use by recently returned soldiers. 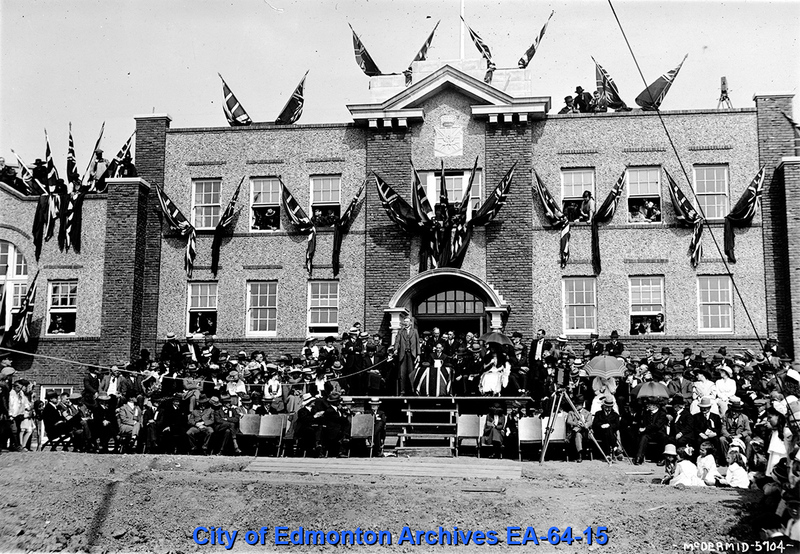 Memorial Hall was given to the Great War Veterans’ Association as their official headquarters by the grateful citizens of Edmonton. Located on Macdonald Drive on the current site of the Telus Building at 10020 – 100 Street, 95% of the labour used in its construction was supplied by veterans.